Shyh-Ming Yang joined NCATS in 2013 and now serves as a research scientist in a medicinal chemistry team led by Juan Marugan, Ph.D. Before joining NCATS, Yang gained 11 years of drug discovery experience as a senior scientist at Janssen R&D (Johnson & Johnson Pharmaceutical R&D). He received his Ph.D. in chemistry at National Taiwan University, where he focused on the coupling reactions of heterocyclic carbonyls promoted by samarium diiodide and their application in synthesis of bioactive compounds. After a two-year stint in the Taiwanese Army, he undertook a postdoctoral fellowship in the laboratory of Scott E. Denmark, D.Sc. 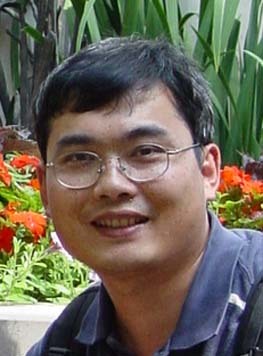 Tech., at University of Illinois at Urbana-Champaign, where his research focused on the development of sequential ring-closing metathesis/palladium-catalyzed, silicon-assisted cross-coupling reactions. The development of this methodology helped enable the first total synthesis of the natural product (+)-brasilenyne, an antifeedant isolated from the sea hare (Aplysia brasiliana). Yang enjoys working in an interdisciplinary team environment, collaborating with his colleagues in biology, informatics and absorption, distribution, metabolism and excretion groups as well as with researchers from external contract research organizations, academia and government organizations. His research interests include synthetic methodology, medicinal chemistry, chemical biology, and rare and neglected diseases. His projects cover major therapeutic areas in drug discovery, including immunology, the central nervous system, oncology and metabolic diseases. One current focus is on developing novel and well-characterized inhibitors for a variety of biological targets, such as dehydrogenases (e.g., ALDH1A1 and LDHA) and DNA repair enzymes (e.g., BLM helicase), for cancer and cancer stem cell therapeutics.